Medilines was established on July 12, 2002. It started as a distributor of B. Braun Medical Supplies and B. Braun Avitum dialysis equipment and consumables. Starting 2007, it started to carry products lines of companies like Sonix Pharma, Euro-med and J&J disinfection and hygiene products. By 2008. 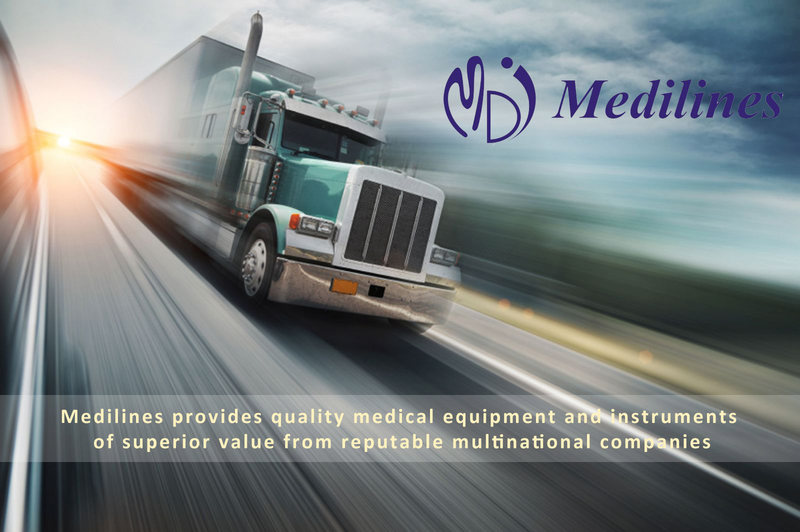 Medilines re-invented itself from medical supplies to medical equipment and instruments. Its supplies business was absorbed by its newly-established sister company, Asya medika, Inc. Among its principals then were B.Braun, Dräger, Primedic and RZ Medizintechnik, all prestigious German equipment and instruments manufacturers and GE Healthcare for its point-of-care ultrasound syatem. To cater to its price-conscious customers, it distributes equipment from ARI Medical Technology and Brand Meditech, both from China; acceptable quality at much affordable prices. Today, Medilines is active in joining tenders of DOH as well as tenders floated by Local Government Units. In order to achieve sustainability, Medilines beefed up its sales force enabling it to cover the private hospital sector nationwide. It also employs biomedical engineers and technicians to provide after-sales service. Our mission is to provide our customers with best value products while conducting our business with utmost professionalism. The company strives to create the best working place in the industry in terms of employee endearment, career and professional growth and work-life balance. We are committed to improving the lives of Filipinos through continuous introduction of life saving products and becoming a major medical equipment and intruments company in categories we know best. Zeal We are a professional company that adheres to high ethical standards in providing excellent healthcare service. Enthusiasm We are a trusted business partner with passion for excellence, highly motivated and whose main objective is customer satisfaction. Nurturing We enjoy and find fulfillment in exceeding expectations and providing the best products and services in the industry.